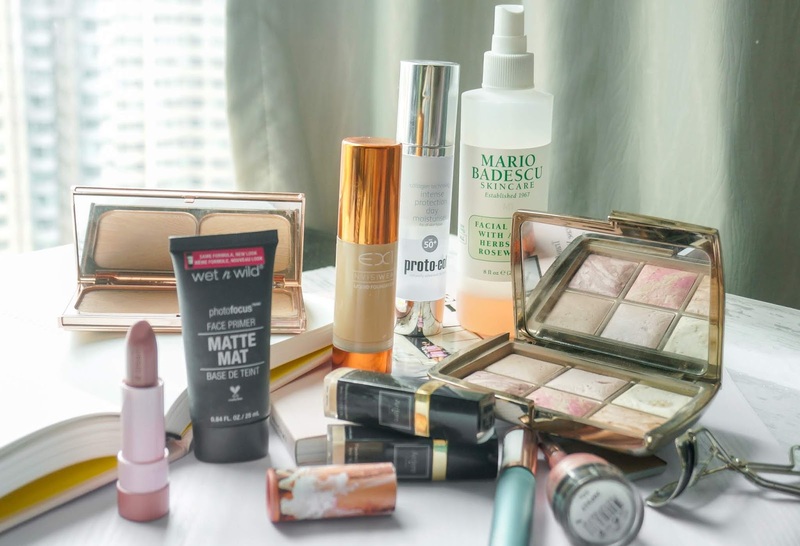 As the weather is a lot more hot and humid in Hong Kong, I have been changing up my makeup a little bit going with less coverage and the less is more concept. For a general everyday face when I'm not testing out makeup or creating new looks these are the products I have been reaching for. Skincare which is another whole post will be talked about later on. Starting with the base I've had still been using the Milani Primer which helps with pore size and oil control. I like how this feels like a gel formula and it really preps the skin for foundation. For foundation I am really glad that I picked up the EX1 Foundation before I left, this is a medium coverage foundation which gives you flawless skin. It is also catered to yellow/olive complexions, I remember when they only had 4 shades which have now expanded to 15. I have a full review of this here. Concealer, I can't go without my Ardere Cosmetics Flawless Concealer, I did buy a few back-ups since I was running low and it was on offer, it is a medium to full coverage concealer with a semi-matte finish. I have this in a couple of shades for blemishes and undereye highlight. For powder, the RCMA No Colour Powder is still a firm favourite to set my under eye concealer. To set my face I use the Protocol Mineral Foundation Powder* which adds coverage and colour back into my complexion. For contour /bronzer the Benefit Hoola is my go to with the Hourglass Ambient Lighting Powder doing the rest of the job of highlight, blush and bronze. 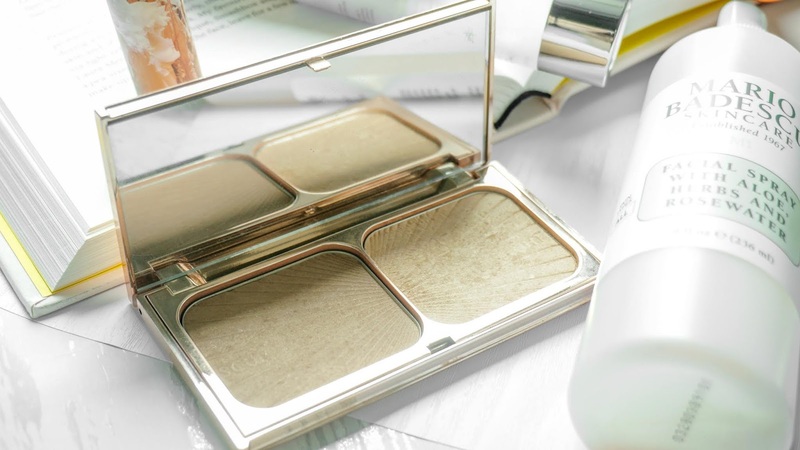 These Hourglass powders blurs your pores perfectly and adds that little bit of shimmer. 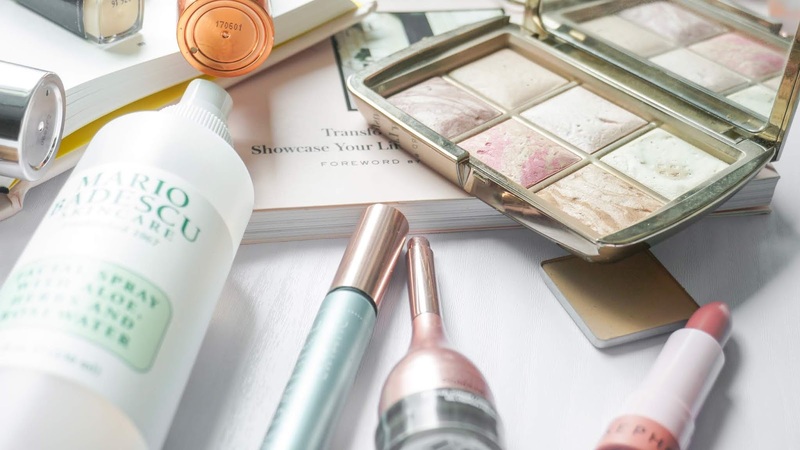 For highlight, one of my go-to is the Charlotte Tilbury Filmstar Bronze and Glow which is the perfect golden champagne colour, this is used on my brow bone area, nose bridge, cupids bow and cheekbones. For lashes, a firm favourite of mine is the L'oreal Lash Paradise, I have the waterproof versions which lasts really well through the humidity. I'm actually upset that I haven't seen this in HK yet so I might have to get it shipped over or try a new mascara. For brows, I'm opting for the more natural brow and have been reaching for the L'oreal Paradise Pomade, I do still think this is a bit chalky and drier in terms of pomade but the colour matches really well with my hair. For lips, I have been reaching for more pinkier shades rather than my go-to browns, I feel like the pink adds more colour to my complexion as I have a lack of eyeshadow on. My favourite is the Wet n Wild Bare it all which I have mentioned a million times, it is a matte finish and it a beautiful muted rose colour other favourites include Sephora Lip Stories in Oui! which is a creamy satin finish and glides over the lips like a dream. To set my face, the Mario Badescu Facial Spray adds hydration and gets rid off any powdery look I may have created. I need to pick up more of these as it does not clog up my pores and smells wonderful. Benefit Hoola Bronzer is my fave bronzer ever! I love those Hourglass powders- they're so pretty! Aaaahhh, I dropped my Hourglass Palette!